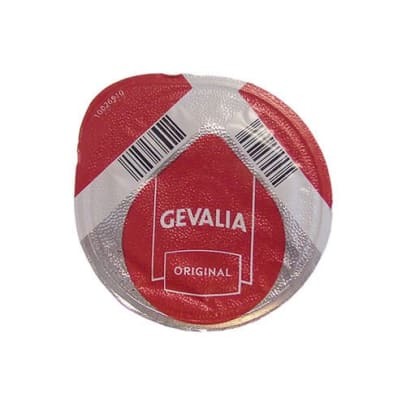 These coffee capsules contain coffee from Gevalia. Gevalia has a long tradition of producing coffee. Victor Th. 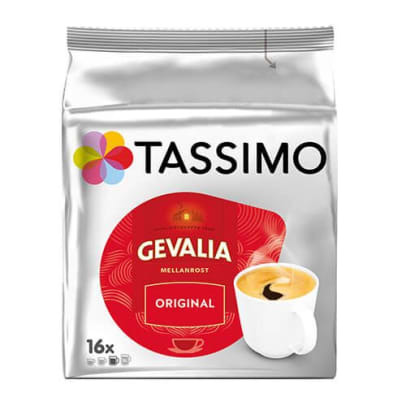 Engwall & Co. opened way back in 1853, its coffee factory in the city of Gavle in Sweden. His ambition was to make coffee to quality-conscious coffee lovers. 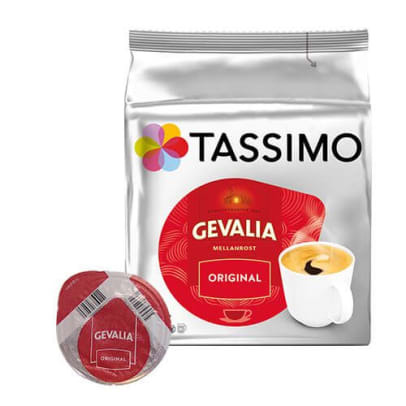 Try Gevalia Original coffee capsules for your Tassimo and enjoy a classic balanced coffee. A Box provides 16 cups. 65% of the beans come from plantations that are certified by the Rainforest Alliance . Tassimos cooperation with Rainforrest Alliance ensures that coffee is grown with focus on: - Protecting nature and wildlife - Social work in the orchard - Economic stability for the coffee farmer. Read more about Rainforrest Alliance at Gevalia's website or Rainforrest Alliance website. God kaffe, og hurtig levering. 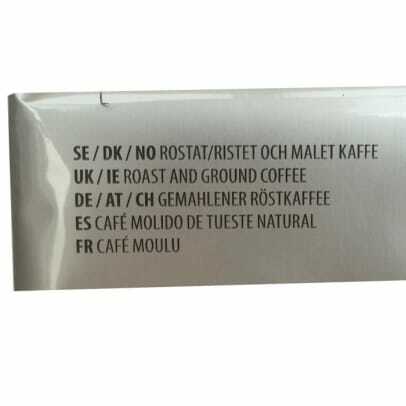 Det er ikke en kaffe, som jeg kan anbefale, den er efter min smag meget tynd.